WHY DO WE REQUIRE CREDENTIALS? 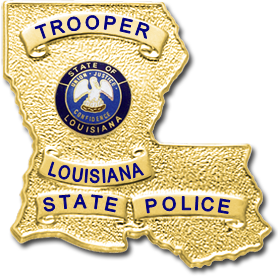 We require credentials for all Law Enforcement Badges with a Title such as Officer or Detective. We've had numerous requests to make the badges above with the Title 'DETECTIVE' on the top panel. The requests are all due to the enormous popularity of the TV Show True Detective. 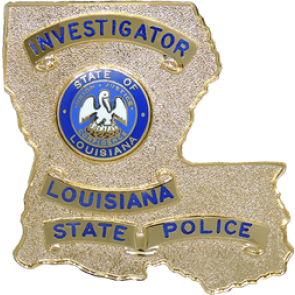 Unfortunately, because these are active "real" Law Enforcement Badges, we cannot make the badges for anyone who is not a Bona Fide member of the Louisiana State Police. Credentials are required to be on file with us before we can process an order to Smith & Warren or Blackinton. It's a layer of protection for those who serve us so honorably and so well. The exception to this rule are Small Badges like the S506A. 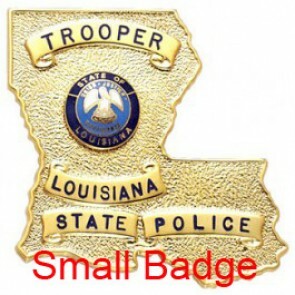 The dimensions of the regulation sized badge are 2 1/2" X 2.1".  The dimensions of the small badge are 1.63" X 1.63", much smaller.